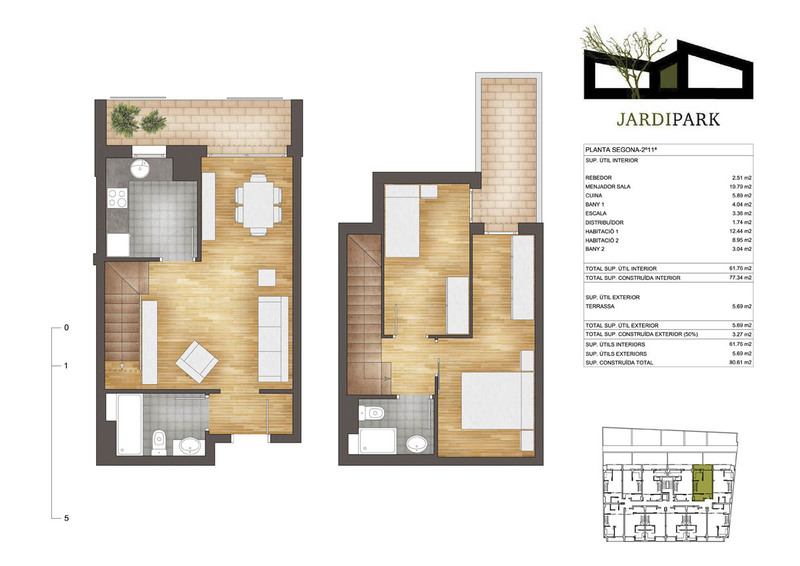 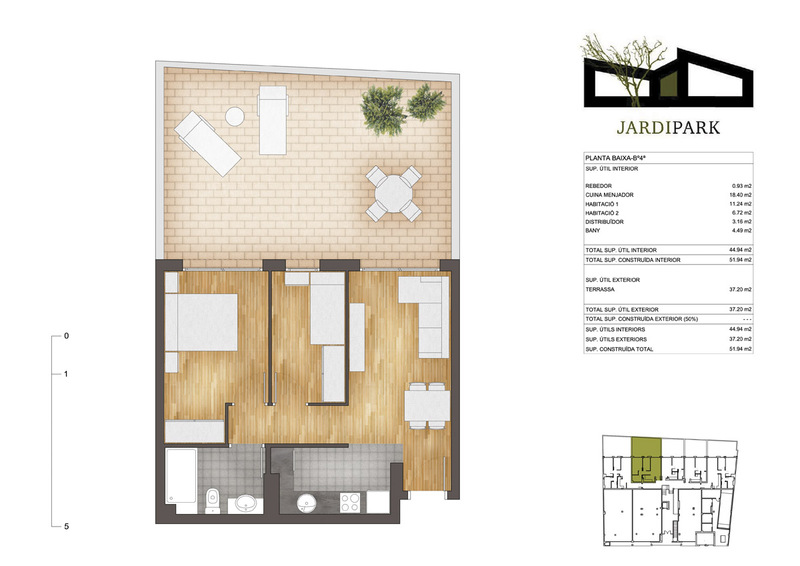 Commercial 2D floor plans of the real estate development project called Jardí Park located in Bellpuig, Lleida. 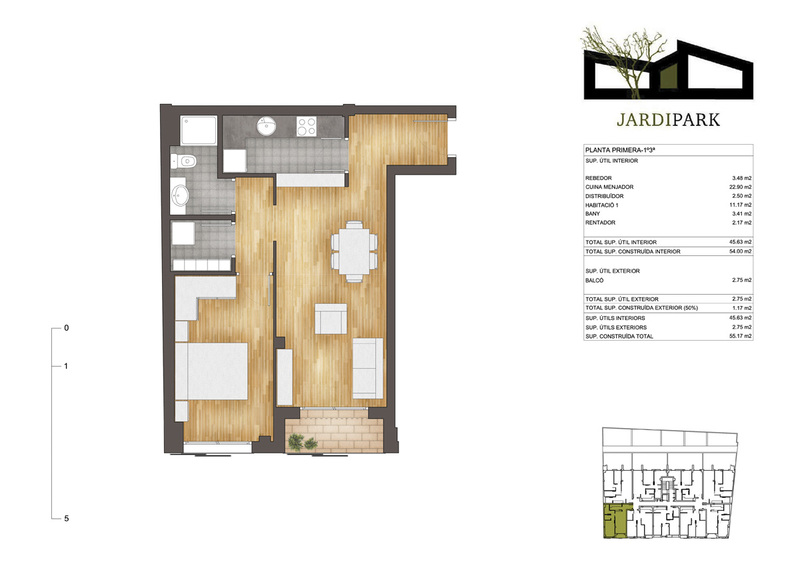 The building was designed by the architectural firm Bosh i Inglada SL and this graphic documentation was joined to the sales catalogue. 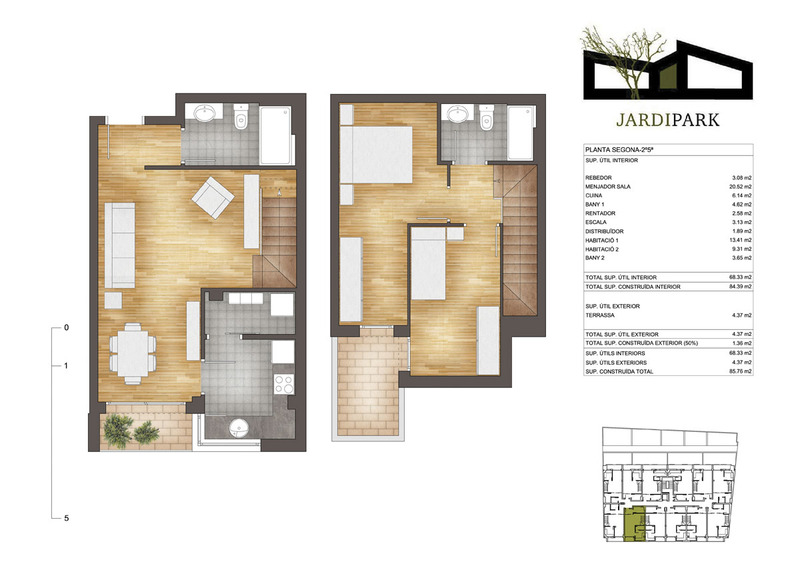 This time the use of 2D drawings was combined with shaded textured materials incorporated by image processing programs.